CONTEXT: Besides nutrition facts, the regulation (EU) No 1169/2011 of the European Parliament on the provision of food information to consumers enables the possibility to use “other forms of expression and/or presented using graphical forms or symbols” to represent the energy value and the amount of nutrients on-pack. Whereas United-Kingdom chose to use the traffic lights and Northern Europe chose the “keyhole”, French government elected the “Nutri-score” color system in 2017. You want to know the nutritional positioning of your products on the market compared to your competitors, or how to use nutritional systems: we analyze the nutritional quality of your products. Suggest ways to improve nutritional quality of your products. ORCHIDALI ASSET: We know the methodology of calculation of several scores for different type of products. We are aware of technological and sensorial constraints linked to food products. Thus we adapt our advices to your context. 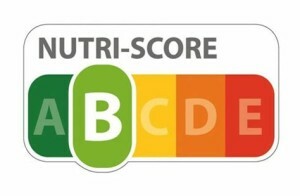 PERSPECTIVES: We can support you for the French declaration to use Nutri-score on your products.